Enthusiast and driven person who’s passion is it to connect the right people with each other or with the right solutions to solve your challenges. I see my role as the connector to make others successful. My goal is to Take Away your IT Challenges and Boost your Organization. I am here to get to know more about your organization and see what challenges you are facing. My question is, where can I add value to your organization? Most customers are savvy enough to tell when someone is being honest with them—and they like it! If they feel they can trust you, they’re more likely to buy. With more than ten years experience in the field of sales and business development. Proven ability to analyze customer needs and present appropriate solutions. Activities and Societies: (A head of Sport Committee in Student Union for 2 years in University "Sport Committee". - A head of general relationship committee in Universities Youth week. - A head of general relationship committee in Arab Universities Youth week. -Working with different teams in many projects. - Self-learning). Oracle ERP Cloud: Pay-as-you-go subscription model that can make cash flow management and planning much easier, Renewal booking in cloud tell our customers the real story, not initial investment. Also initial costs are typically much lower because you simply implement the software to your requirements. Cloud consolidates, analyses and gives attention the most important parts of your data. It helps you to take action quicker to where it's needed. The information is real time and reachable 24/7 all over the world. Applications that are social and that give you all the information you need to make better business decisions. We will help you improve your business and solve all your problems! Right is a global consulting Partner for Microsoft Dynamics AX, Increasing the potential market in Saudi Arabia of Microsoft Dynamics ERP Solutions (Microsoft Dynamics AX and Microsoft Dynamics CRM). Creating complete territory business plans, preparing solutions with presales consultants, negotiating and closing. Soroof implements large-scale Software projects and IT services. Creating complete business plans with my sales team, presales activity for HCM, negotiating and closing; conducting Internal training courses. Key responsibilities: Generating and assessing leads, making presentations and demonstrations, preparing solutions and proposals, closing sales. DMS provides HMIS solutions for Egypt, Lebanon and the Gulf area. Generating government and private sector leads, conducting initial visits and determining customer needs, conducting follow-up sales inquiries. Softlock is a leading supplier of digital security (software and hardware). Analyzing customer’s software security requirements; developing customized security solutions, providing training and technical support, Pre sales activity with sales team. Softlock is a leading supplier of digital security (software and hardware). Analyzing customer's software security requirements; developing customized security solutions, providing training and technical support, Pre sales activity with sales team. Installing applications on networks, performing preventative maintenance, creating and maintaining users directory structures, providing technical assistance to users concerning data communication equipments. Ahmed has a great value within sales cycle the hung experience in the back ground and his superior abilities and dedication always make the difference doing his job well. Working as a pre sales; allow me to work very closely with Emara, he is one of the best sale persons i met, can easily find the way to the customers' patterns identify the people and be on the right side of them, creating a continues relationship while building the customer need and successfully positioning the right solution. 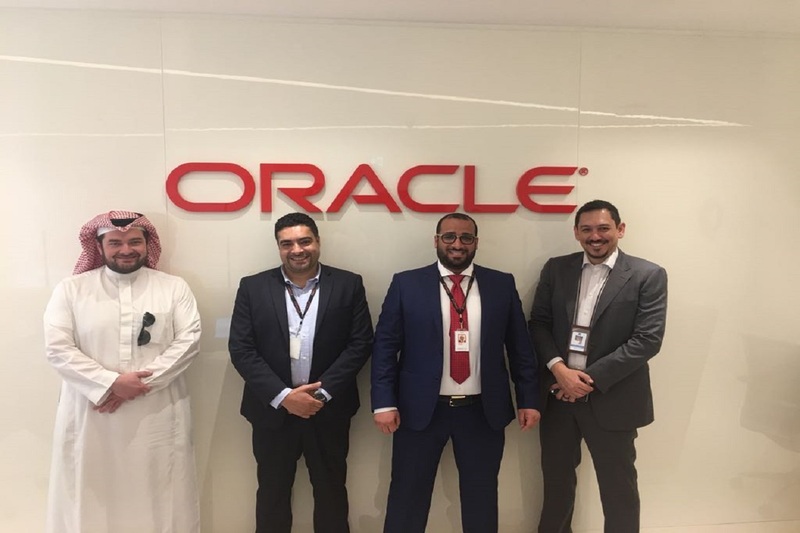 It is rare to find a professional of Ahmed's Caliber, I am working closely with him since June 2016, and he brings a combination of excellent sales skills and most importantly he proved excellent customer consulting skills. I have been to many C-level meetings with Ahmed and i was really impressed by the way he is managing his accounts and most importantly the trustworthy relationship he builds with all his customers. I find his openness and honesty as his best quality. he has the instinct of a talented sales professional and his deal predictions are usually very accurate. Looking forward to have a very successful year with Ahmed and i will definitely choose him part of my team. Ahmed is great person to work with, he always gives too much attention to small details and he has a very good interaction and communication skills with customers and partners, Ahmed also seek perfection in every project he manages and he keep a very good relationships with other team members that he works withtitle. I have worked with Ahmed on many accounts. His account management skills are truly remarkable . He has great ability to set and manage all customer's expectations , whilst driving deals for closure. Ahmed is a very energetic, dedicated sales manager that is always seeking to develop the business opportunities. Ahmed personality and his willingness to help others allows him to win over customers and colleges allowing the achievements of his goals and objectives while maintaining a highly professional relationship. I am sure that Ahmed will be an asset to any organization he chooses to work with.